Some foot conditions we see come in waves at the office. Sometimes we can't explain it, while other times there are very understandable reasons. When the temperatures in the midwest start falling (and they seem to fall fast), we more predictably see an influx of certain issues at the office. Most of these conditions are those which are aggravated by closed toed shoes. Wearing sandals, whether on a daily basis or after work and the weekends gives our feet some extra wiggle room. 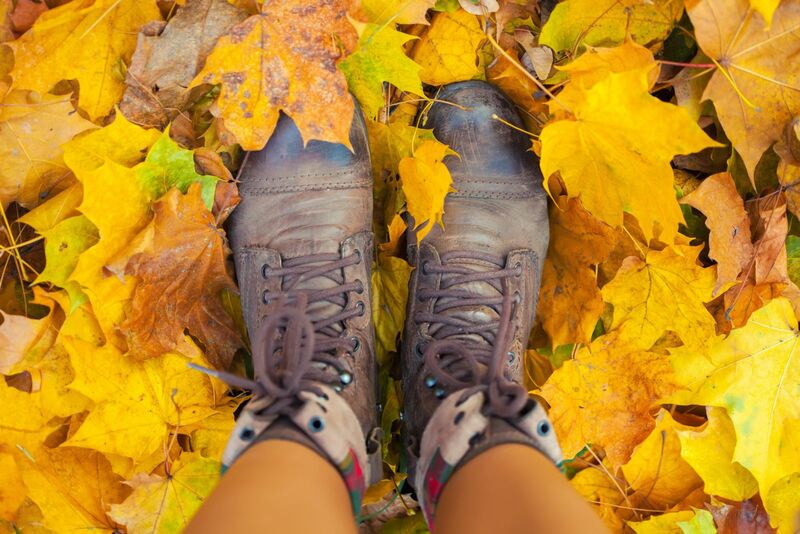 When we get back into shoes and boots, our toes are more cramped and our feet get warmer. The closed shoes can bring to light bony deformities like bunions and hammertoes that were likely already there, but just flying under the radar in our sandals. Similarly, pressure from shoes can aggravate an incurvated nail and now suddenly your toenails are hurting or swollen. With our feet getting warmer, we may notice itching between our toes and maybe even scaly skin or blistering which are signs of athlete's foot (we call it tinea pedis). We also see an influx of patients who have gone all summer with polish on their toenails and now when they are taking it off may be seeing color changes or thickening of the nails that could be due to a fungal infection of the nail. Whatever you are now noticing with your feet, we are here to help! Call our office to schedule a visit today.